Rand Fishkin, Wizard of Moz – E-team Team, presented the opening keynote on “5 Keys To Local Search Success In 2014”, and delved in to how local businesses can stand out from the crowd and use content and customer experience to amplify their brand online. He emphasized the importance of being creative, to maintain consistency, and not break your web presence into different functional buckets – a main website, a site to schedule appointments, social account to find discounts and specials, etc. He emphasized the importance of mobile usability and how a single click can decide on a sale or losing out to the competition. 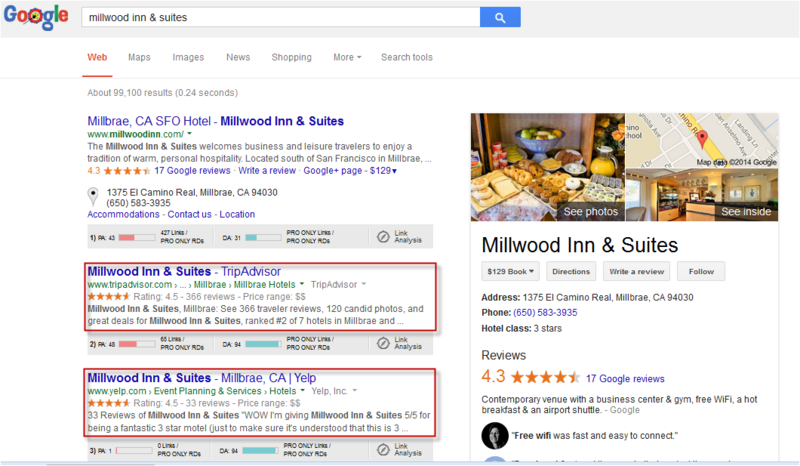 For example, earch results are now heavily influenced by social and local profiles. For businesses, especially small businesses, it is worthwhile to piggyback on social giants like Facebook and growing directories like Yelp and Angie’s list. How does the barnacle effect complement our Local SEO efforts? At Milestone, we continue presenting information to local directories, managing these listings, and focusing on link building strategies. David Mihm, world’s leading practitioner of local search engine marketing, stresses the importance of building great profiles in these directories – adding compelling business descriptions, including great business photos, and presenting an all-inclusive representation of your business. The goal here is to ensure that these profiles prompt customers to strongly consider your business and move further along the buying cycle. Local SEO Tips: Been There, Done that, Optimize Better! Mary Bowling, local SEO practitioner and consultant, presented “30 Link & Content Ideas for Local Search Success”. While a comprehensive list of local SEO strategies, and most of them mandatory efforts, it was important to understand that these techniques still hold value and are often paramount to being found locally. Optimizing videos with transcripts is not a new concept; however, it still holds tremendous value when considering Local SEO. While videos continue to rank as one of the top sharable integrations, including written transcription will add more content and further enhance these videos files. By placing a transcript on your video web page, search engine bots crawl this content and index your keywords and phrases. Will Scott touched upon the importance of getting involved in a community forum. He mentioned the benefit of offering solutions and helping locals rather than pushing the brand and rendering a sales approach. Mary Bowling highlighted the importance of back links from authoritative sites. Again, an age old SEO mantra, but what was important to note was her mention on the porous boundaries of SEO & PR. She highlighted some “old school” PR strategies that may bring in the much desired authoritative link juice to your site. She also highlighted services like HARO, SourceBottle, and ProNet that connect opportunities to locals; a small business mentioned in a leading newspaper presenting a much desired editorial and authoritative back link. Jade Wang, community manager at Google, explained where local results come from. She compared the old ‘clustering’ method and how Google used to extract local listing vs. the recent methods of collecting information from Google Maps, Google Places for Business, Google+, Map Maker (moderated), and enhanced content providers (EHC). She mentioned that when considering local listing information, more authority was given to Google Places for Business and this was used to create pages. However, to get more information on reviews, price information and hours, they may use EHCs like Yellow Pages. A quick note here, this session took place a day before “Google My Business” was officially rolled out. Aaron Weiche, COO of Spyder Trap, discussed top mobile opportunities that need to be implemented, and highlighted the growing importance of the user experience on mobile sites. 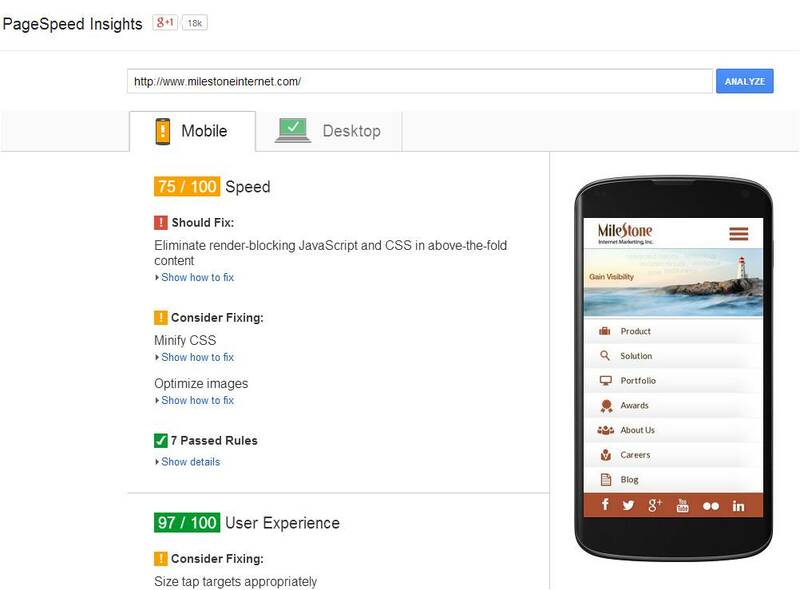 Google’s Page Speed Insights Tool offers an additional tool that measures page speed for the mobile user experience. Aaron mentioned that this is a vital indication that mobile usability is a large part of mobile search rankings. The report is rather simple to implement – plug in your URL and wait for your results. It breaks it down into mobile and desktop reports and provides both speed and user experience information. It scores you out of 100, with the lower score (between speed and user experience) displayed first. Furthermore, it provides you recommendations on areas you need to improve upon. The culmination of Local U was Mike Blumenthal’s end keynote on “Categories, Driving Directions, & Entities – Looking into the Local Future”. Mike is the author of the blog “Understanding Google Maps & Local Search” and is the industry’s most respected local search expert. “Google is looking at driving directions as an indicator of place popularity that possibly can replace reviews as ranking factor,” Mike expressed. He explained that mobile users need driving directions the most and they need to be readily accessible. The approach is to provide clear instructions and highlight transportation options. He also highlighted adding maps, videos, and written instructions that talk about close by intersections and highways to further enhance this effort. Needless to say, every action needs equal and compelling analysis – enabling event tracking code to gain insights into mobile behavior and compare it to desktop users.